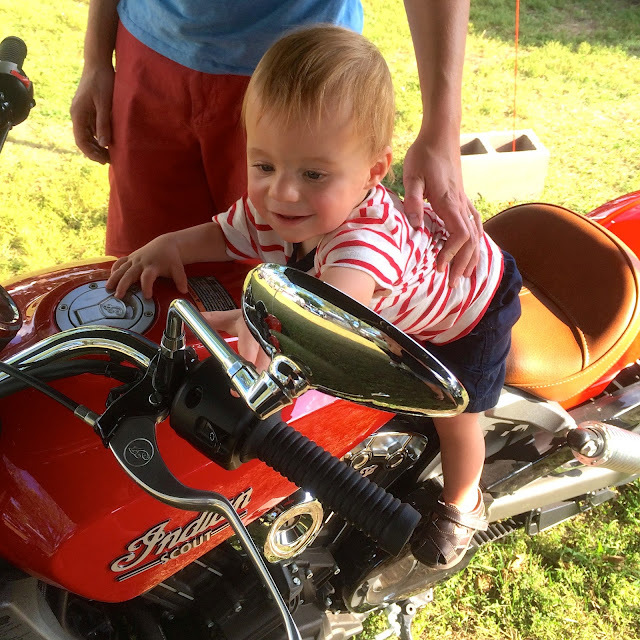 C was fascinated with the shiny Indian motorcycles on display, and couldn't wait to get on one and practice his biker skills. Other highlights...animals! 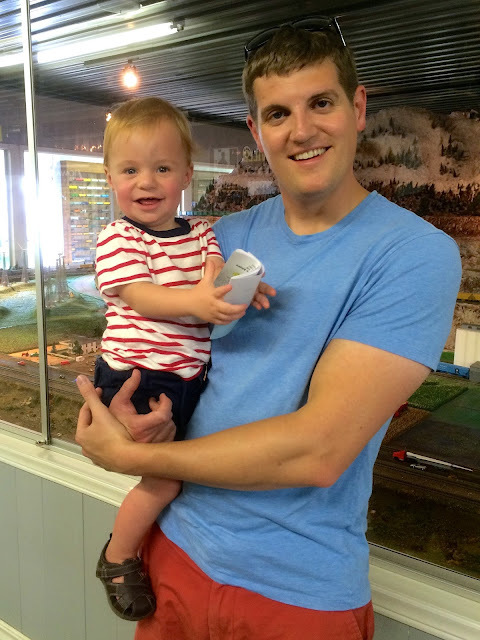 C LOVED Grandpa's Barn (a.k.a. the baby animal barn) this year. He was able to get down and stand close to the pint-sized animals, and was even brave curious enough to reach out and pet the baby lambs! Also a fascination, the horses, sheep, and cows. 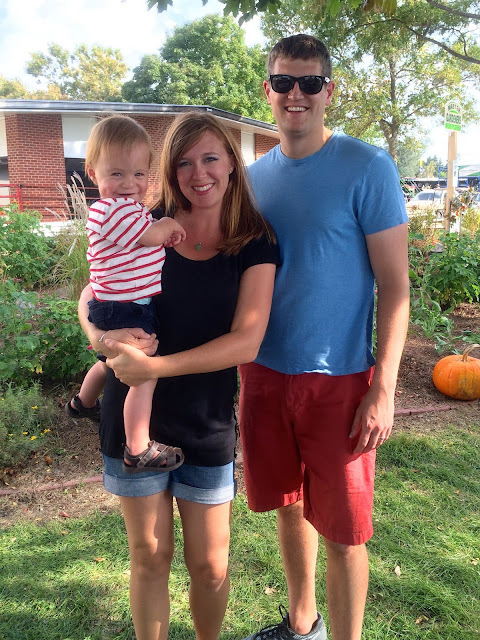 Having an opportunity to see the animals we read about in person was quite a big deal! 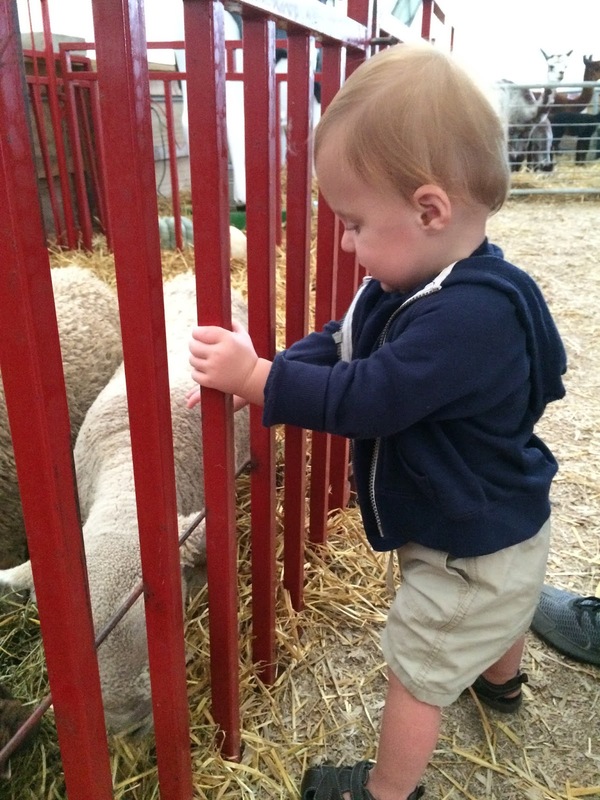 Future vet perhaps? Another favorite was visiting the train station. 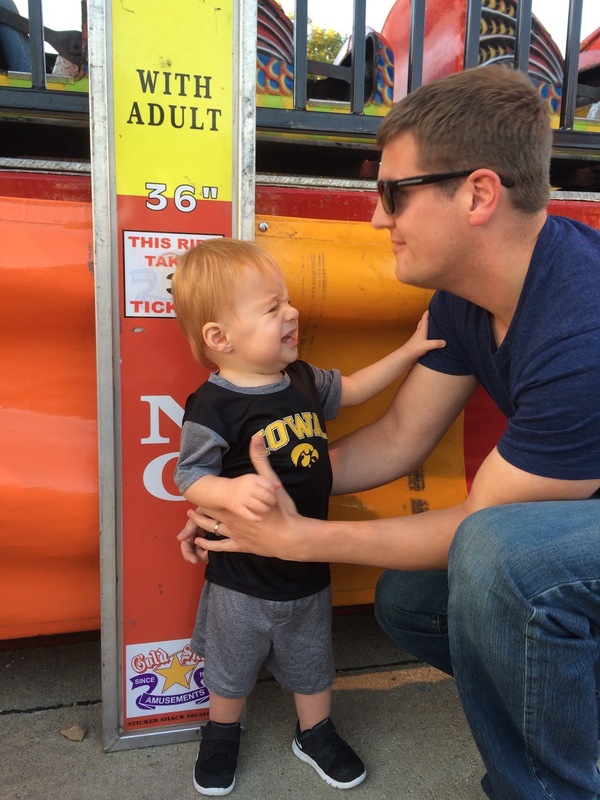 Honestly, C enjoyed it, but I think this fair stop was more about T, who couldn't wait to go check it out! 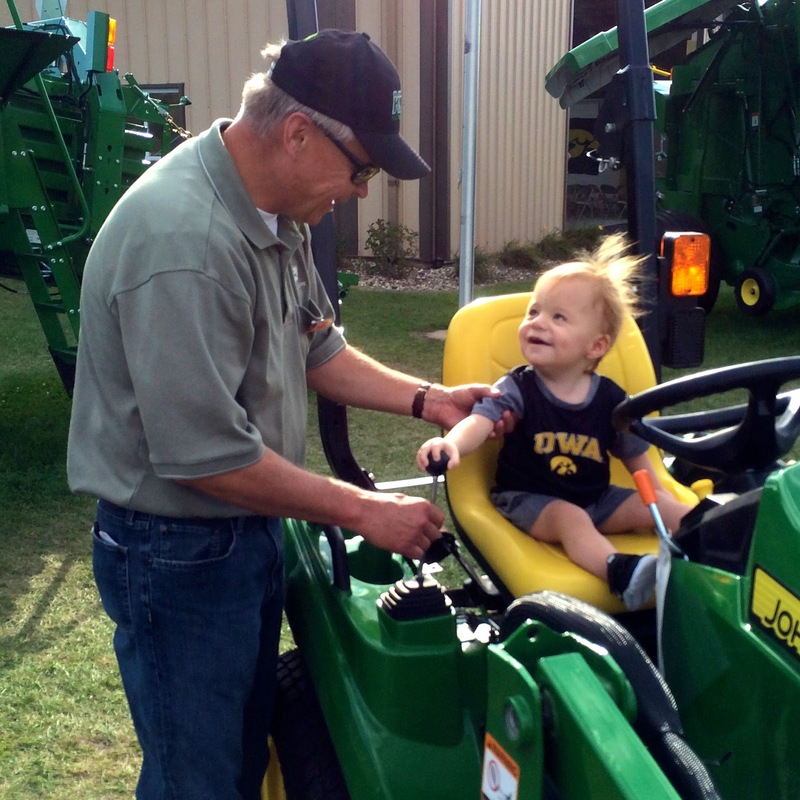 C's absolute favorite stop at the fair this year was hands down...the John Deere Pavilion. He love. Love. LOVED. 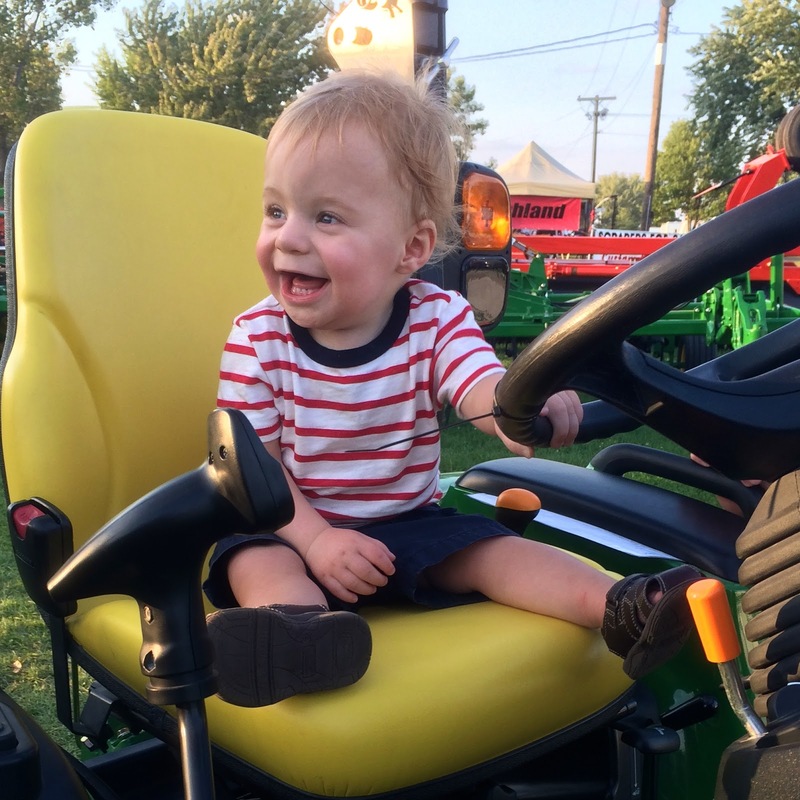 sitting on the riding mowers, inspecting all of the gears and levers, and 'pretending' to drive. 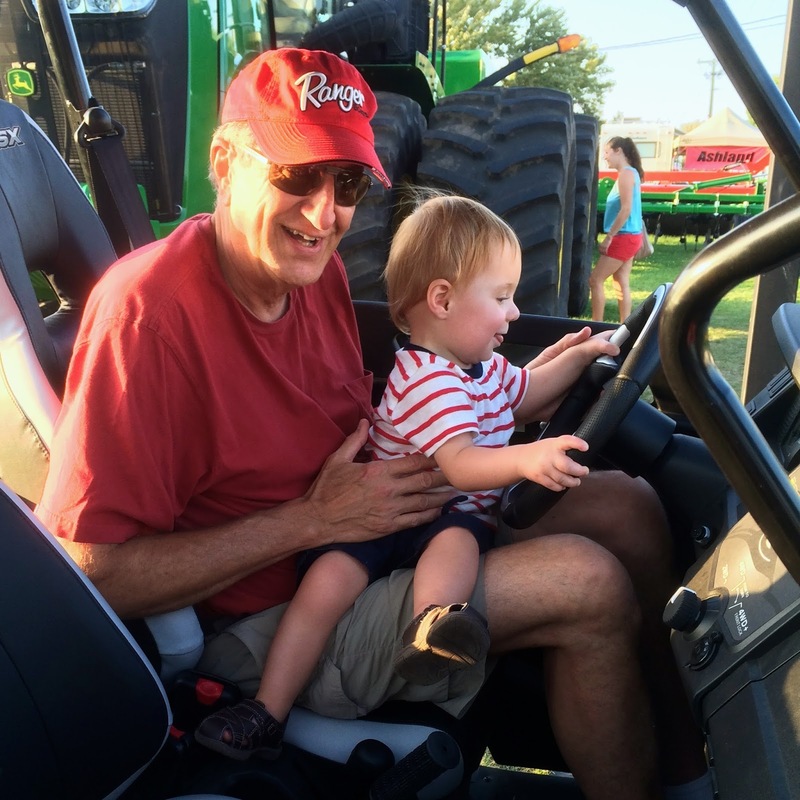 The last day of the fair, Grandpa T was working, and C got to go pick out his favorite toys from the kids section. 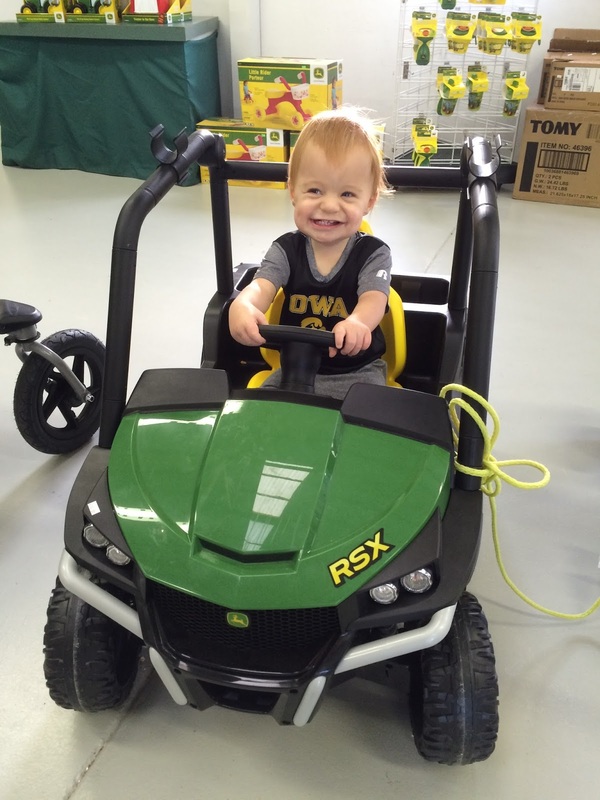 He's not just anyone's son, and he went straight for the most expensive ride-on toys he could find. 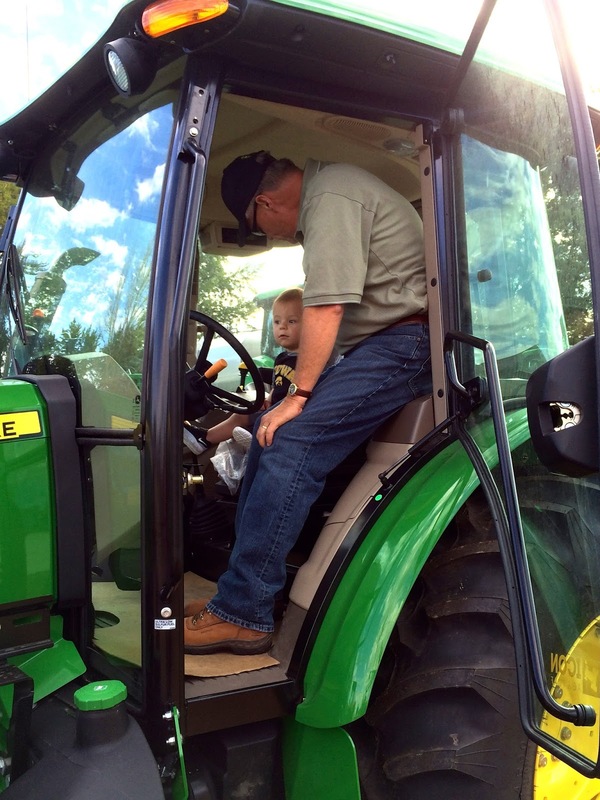 He's not quite able to reach the pedals yet, but I could see this tractor potentially finding a home in our garage sometime in the future. He was the perfect size for this motorized gator, but considering we live next to the lake, I don't think it will be coming home with us anytime soon! I should also mention, in case you are looking for an awesome little kid activity at the fair, the John Deere Pavilion has a 'cornbox' a.k.a. 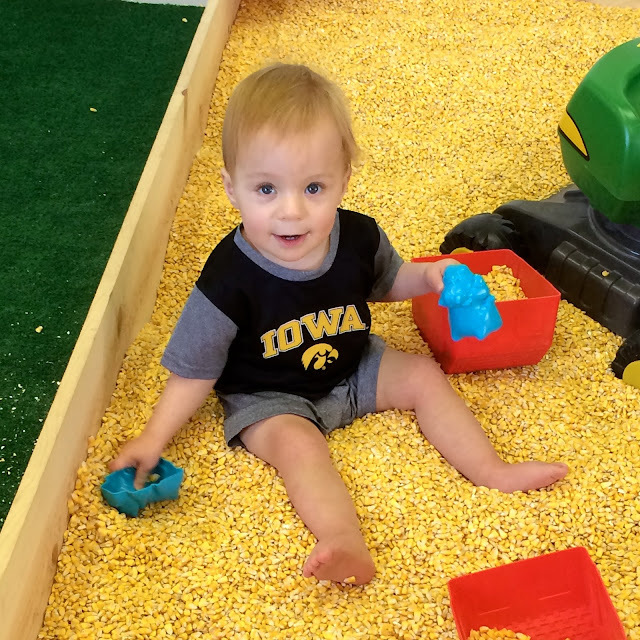 sandbox filled with corn, that is full of kid sized farm equipment and 'treasures' (coupons for toy discounts) for kiddos to dig for. C absolutely couldn't get enough, and had So. Much. Fun. playing in the corn. We'll definitely be stopping back next year! 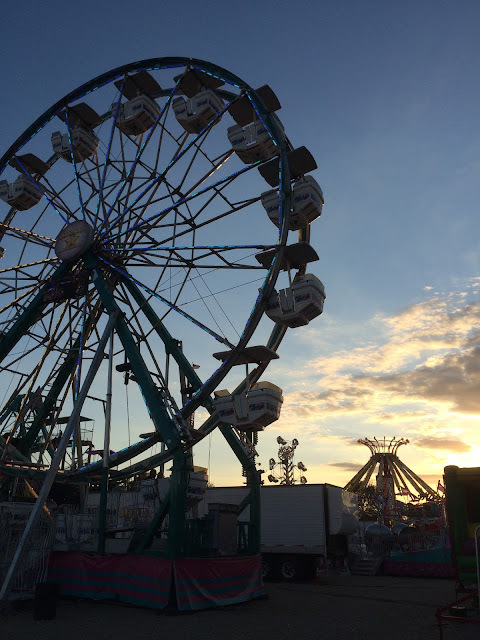 Last, but not least, we had to walk through the midway on the way home the last night of the fair. 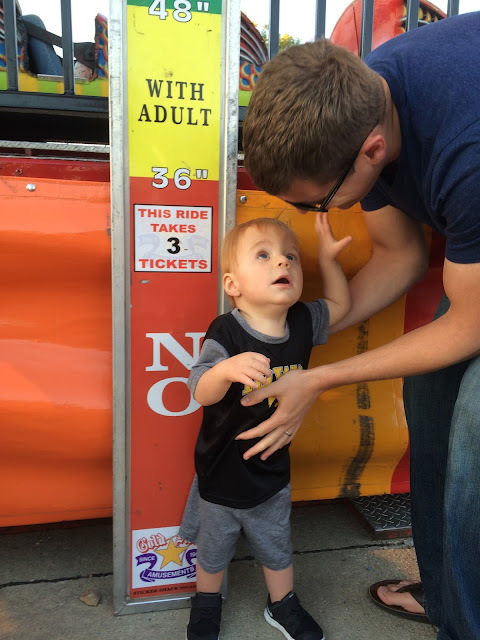 C was fascinated watching all of the kids rambling about, the bright lights, and the many different sounds from various games and carnival rides. There were a couple of rides he maybe could have tried out, but the kid-sized roller coaster was not one of them! Considering he measured 35" just a few weeks ago, I think the carnival workers should maybe rethink their height requirements! 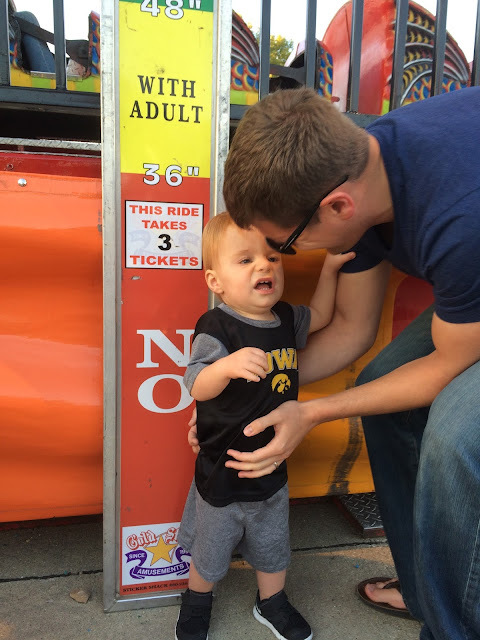 Oh Dad, do you think I could please go on this carnival ride? But Dad!!! What do you mean I'm not tall enough?